At the heart of the Village of Pelham Manor is "Four Corners," the intersection of the Boston Post Road and Pelhamdale Avenue and one of the focal points in the village with a small shopping area, one of the community's five churches and substantial parkland. The Pelham Preservation Society has undertaken a number of projects to preserve and enhance this area. 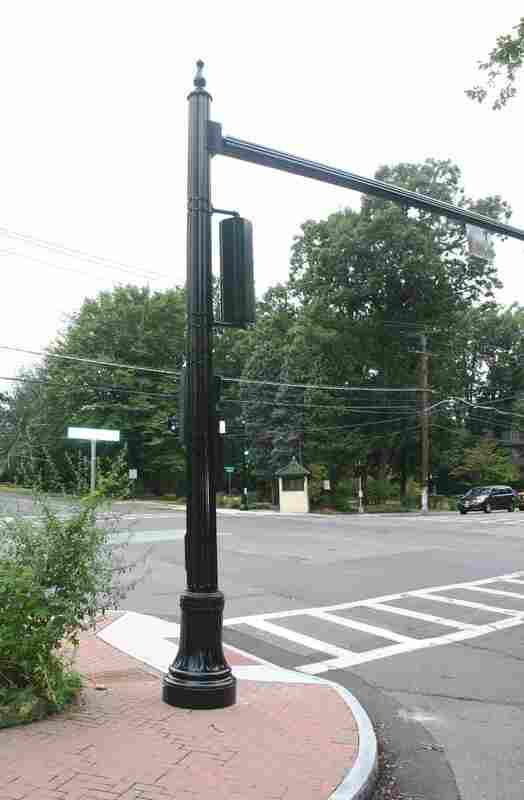 When the New York State Department of Transportation decided to install new, industrial aluminum traffic light poles, the Pelham Preservation Society went into action and organized the community to push for more historic alternatives. Working in cooperation with Village Manager, John Pierpont, the village and Pelham Preservation Society were able to persuade the state to instead install traffic light poles and equipment funded by the organization, that are more in keeping with the historic character of Four Corners. 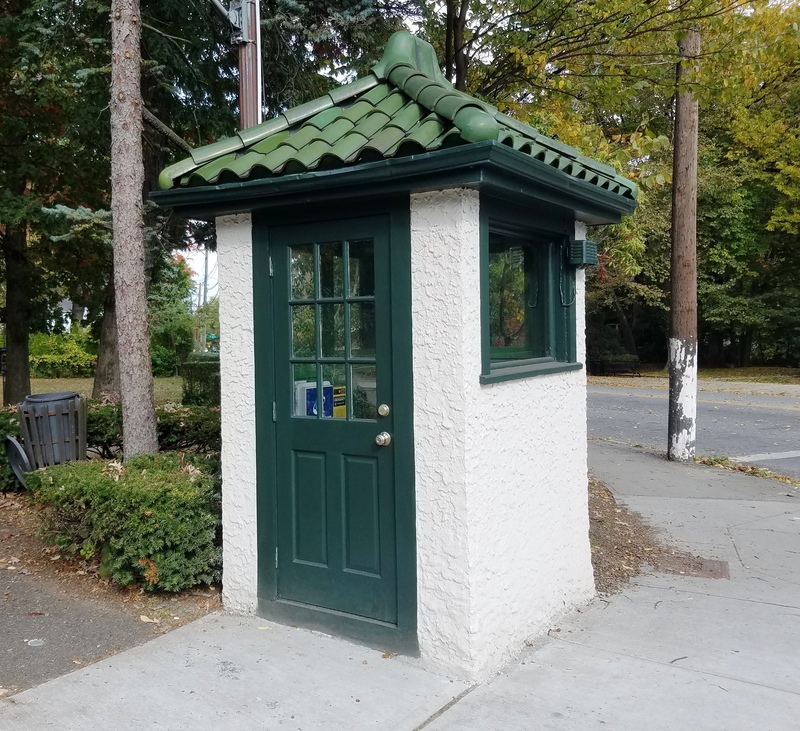 This historic police booth has stood at the Four Corners intersection since the 1920s. The Pelham Preservation Society spearheaded and funded its restoration. New benches and trash receptacles were added at the four bus stops at Four Corners and the Society assisted with and helped fund a boy scout project to repair other benches and install new landscaping in the adjoining Four Corners park. When the Village of Pelham Manor at one time considered zoning changes that would have allowed high-rise apartment buildings at Four Corners, the Pelham Preservation Society raised community awareness and prepared a survey and analysis to demonstrate that the area was of significant architectural, historical and cultural significance.